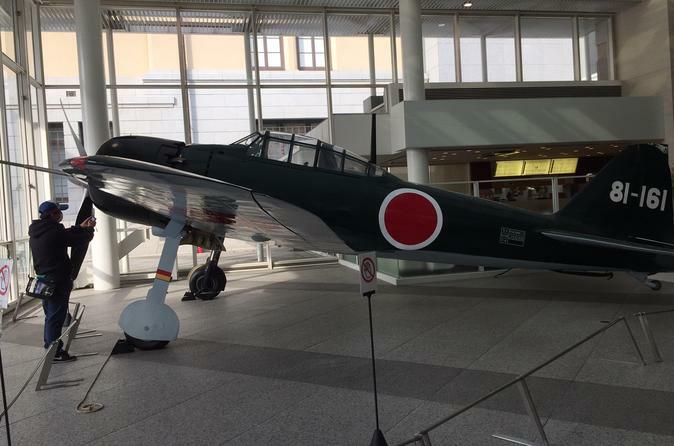 This is an original private walking tour which you can enjoy not only Yasukuni Shirine but also War Museum(Yushukan). The guide will pick you up at a centrally-located Tokyo hotel at 9am and show you War Museum first. Then, you'll visit Yasukuni Shirine. There, you'll move The Imperial Palace where Emoeror Akihito-sama lives. The tour will end around 2pm. You'll be picked up at your hotel at 9am and the guide will take you to War Museum by subway or JR train. Brush up on World War II history by visiting this museum. The aim of this museum is to show people about Japan's struggle from the opening the country in 1854 up to World War II. Yasukuni Shrine is not temple but shinto shrine. This shrine has a very strong connection with the Imperial family. It was founded by the Emperor Meiji ,122nd. The shrine is a place dedicated to those who sacrificed their lives in all wars modern Japan has participated in from Boshin War (in the end of Edo era in 1867) up to World War II. The Imperial Palace is a residence where Emoeror Akihito-sama and his consort Empress Michiko live. The palace is in the center of Tokyo, approximately 12 minutes walk from Tokyo Station. Walking along with guide you learn that the essence of Japan is in the Imperial system. You'll be dropped back at your hotel after your tour.